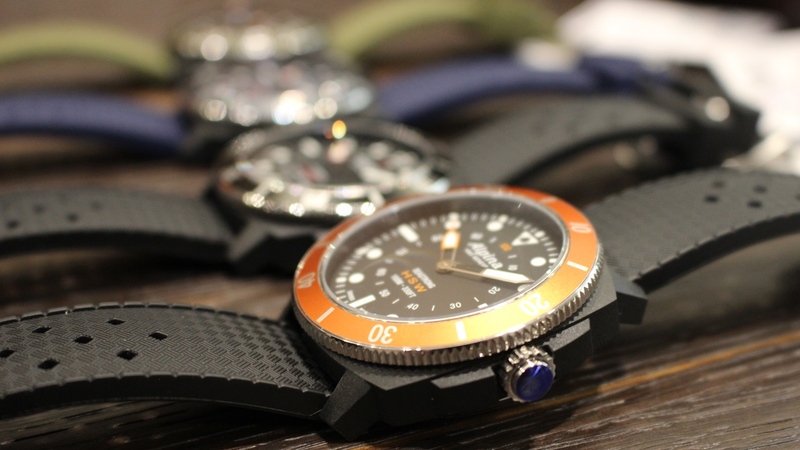 Just as Fossil is spreading the smartwatch love to the many brands under its umbrella, Swiss company Union Horlogère is doing something similar, but on a smaller scale. 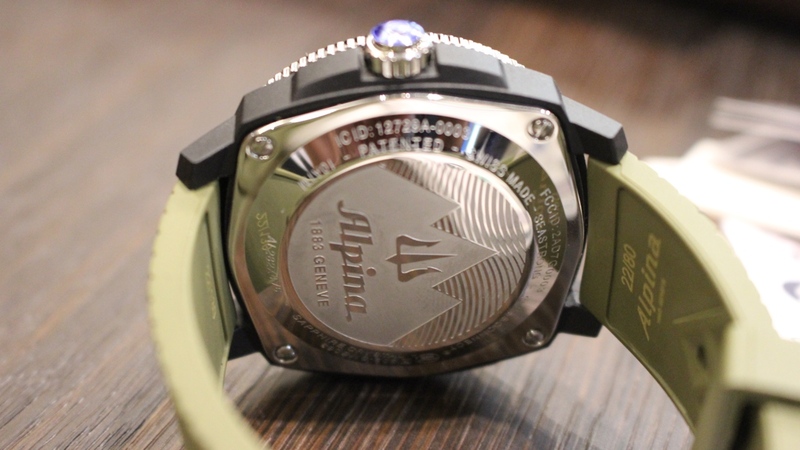 Alpina, along with Frederique Constant, has been part of Horologere's big smartwatch push since its joint venture with Fullpower Technologies, building the Horological Smartwatch Open Platform that has underpinned its first generation connected watches. While the partnership has ended, the hybrid smartwatches have not, and the Alpina Seastrong Horological smartwatch is the latest addition to the family. 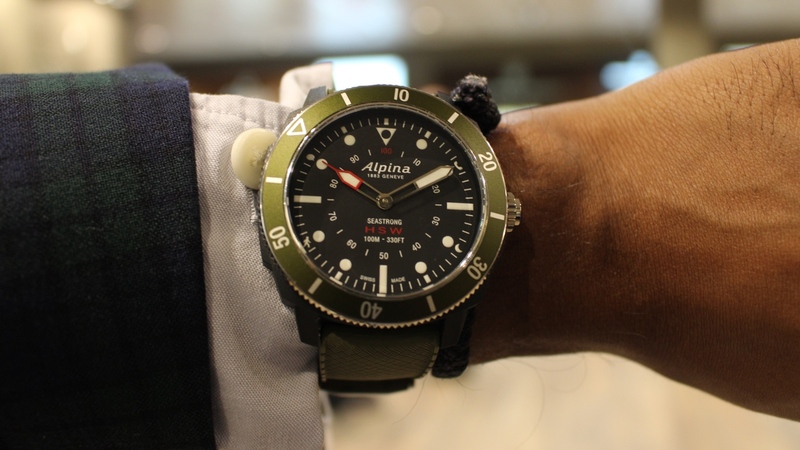 The philosophy remains the same: make a hybrid that looks like a normal watch and discreetly smuggle in the smarts so no one will notice. That's exactly what you get. 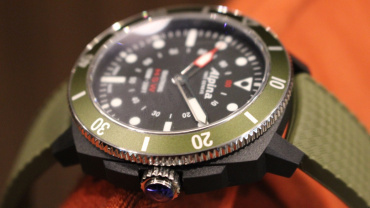 This is a hybrid inspired by Alpina's Diver 300 Automatic collection and you'd be hard pressed to tell the difference. Picking it up in any of its four colours (black, green, orange and navy blue) and despite the undeniably sporty, rugged man-friendly look, they all still retain enough style to match up nicely with a good suit. 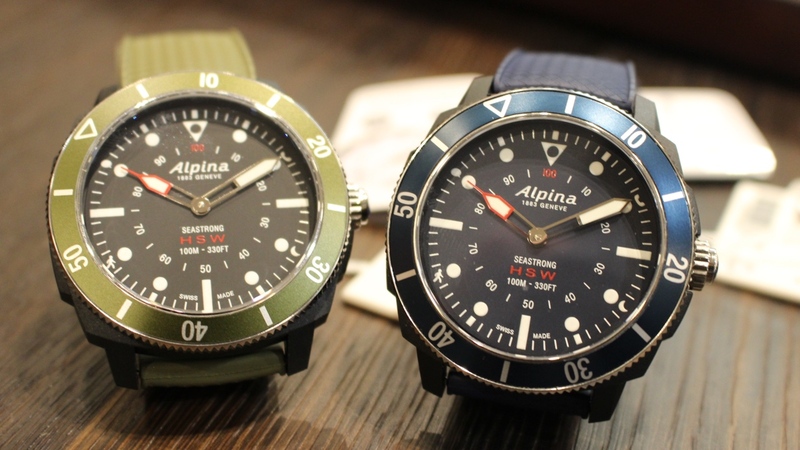 They feel like high quality watches and there's no doubt they look every bit worth the 595 Euros (around $600) it'll cost to get your hands on one. It's a diver-style watch, but it's only waterproof up to 100 metres depth so you're not going to do a lot of deep sea diving with it. It's a watch that's bold but by no means brash with the 60-minute uni-directional bezel dominating offering a satisfying click when it's rotated. As far as smarts are concerned, you're getting pretty much the same as you get with Frederique Constant's Horological smartwatches. 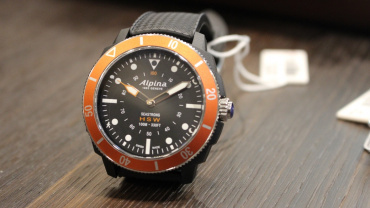 It makes activity tracking and subtle notification support a priority, which is fine by us. 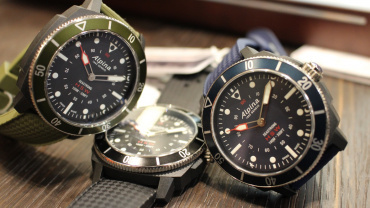 It's worked relatively well on Horological smartwatches before, aside from some niggling issues with sleep tracking. It's also using the same MMT-365 companion app that has improved over time and boasts some features that are more useful than others (is anyone using SwissConnect messaging?). There are definitely a few things here that the fitness tracking fraternity could well be inspired by, including the dynamic coaching. Battery life is a pretty impressive four years, which not many hybrids can claim to offer right now. 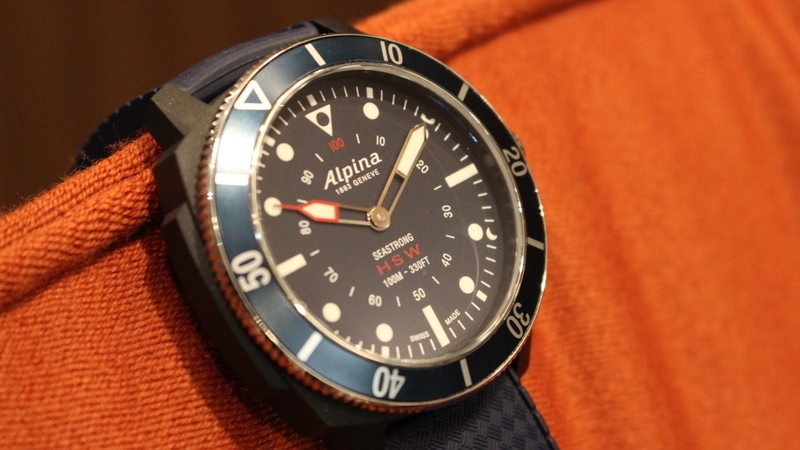 Alpina makes that happen by giving you control of the intensity of smartwatch features like notifications, which can reduce the battery life over time. If you don't go too heavy, you'll get four years. Use it more and it'll probably fall short of that, but still keep going for some time. Like Frederique Constant, Alpina has a formula for hybrid smartwatches and it's sticking by it. 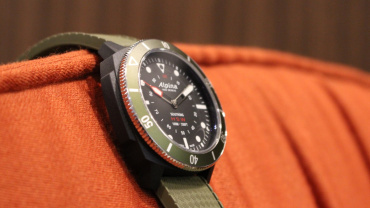 The Seastrong doesn't offering anything groundbreaking in terms of smartwatch features; it's simply wrapping up the existing tech into another watch body. If you're sold on the Swiss watchmaker's styling and don't need to be flooded with smartwatch features like apps or digital assistants, the Seastrong is another solid addition to Alpina's collection of connected timepieces.